2 Bed, 2 1/2 Bath bright and airy groung floor townhouse unit on canal; exceptional views of marina and beyond; newly painted; new tile floors and carpeting. Situated in the pure essence of Paradise, Pearl Bay offers you luxurious townhouses with deluxe amenities. This private waterfront canal peninsula is magnificently located minutes from Grand Bahama's International Airport. Pearl Bay waterfront townhouses are presently under construction and is slated for completion August 2006. The town of Bankya is a renowned rehabilitation resort. It is situated 17 kilometres to the west of the city of Sofia. The town is spreading on the green flanks of the Lyulin mountain, surrounded from south and west by picturesque parks and gardens. The town of Bankya is located at 630 â€“ 640 metres altitude. Croatia. Island of Rab. Historic town centre. Pedestrian zone. Perfectly renovated 16th century stone house, 260sqm (two floor, 100sqm and 160sqm, to sell separated, also) living surface, high-standard refurbishment, 8 large rooms, wooden ceiling joists, fully furnished with antiques, 3 chimneys, 4 bathrooms, terrace (35sqm), sea view over rooftops. Tel/Tv/Internet, central heating. Croatia. Island of Rab. Historic town centre. Pedestrian zone. 18th century stone house, handicaped accessible, luxuriously renovated. 131sqm living surface, 4 bedrooms, 3 bathrooms, living room with wooden ceiling joists and chimney (30sqm), eat-in-kitchen (30sqm), patio(32sqm), terrace(15sqm). Sea view over rooftops. Tel/Tv/Internet, central heating, air conditioning. BIG PRICE REDUCTION! 3 Story Family home with a huge lower level and nice marble patio /garden area in the gated upscale neighborhood in Warsaw, Poland. Total of 10 rooms. Excellent for residential or commercial use. House built in 1995 on 2,551 sq feet (237 m2)of land. House area of 3,709 sq feet (344. Two-App. House With Business Premises On Sale In Izola. In the heart of the town of Izola there is a two-appartment house with business premises on sale. 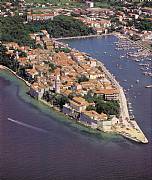 A coastal town, a park next to the old harbour, a terrace above the town. Now you have a great opportunity to breathe in the smells of Mediterranean pine trees in wonderfully renovated house in the old part of Izola, only a stone's throw from the coast. The Best Holiday Townhouse Investment Ever ! The Best! Triplex Townhouse Project ever in Golf Capitol Belek. Don't miss out as this is an Introductory Offer for a limited time Exclusively furnished,ready to move in. All inclusive Townhouse has been constructed recently and all furniture's are new and top quality presented to the use of first buyer. The Free and Hanseatic Town of Anklam has around 15,000 residents. Anklam is the capital of the district of Eastern Pomerania and gateway to the Baltic Sea island of Usedom. With more than 1,900 hours of sunshine a year, the area is the sunniest in Germany. The town is directly bordered by the "Anklamer Stadtbruch" nature conservation area as well as by "Naturpark Usedom-Oderhaff". Two units in the same house (Price is for both): a studio-apartment and an apartment larger than 1st (2 rooms + Kitchen). You can be found them in the town centre of Castellammare del Golfo (Sicily North-West Coast). Nearby are foodshops, mini-markets, travel agents, a coach station, bars, restaurants etc. Sea is 400 mt far from. Renovated townhouse - on freehold ground â€“ in the inner city of Amsterdam, close to shops an public transportation. This monumental house has many original details, beauthiful entrance and wooden floors. The modern style of the garden (South!) offers this cityhouse an extra dimension. The lay out is also suitable for use as an â€œoffice at homeâ€�? combination. 3 minutes driving distance to the bay of S.
It has been featured in the July 2005 issue of "Vivir en el Campo", as well as Spain magazine, and numerous publications in Belgium and Holland. An opportunity to acquire this superb, modern style, two bedroomed inner town house enjoying uPVC double glazing and gas central heating. The accommodation briefly comprises: Reception hall with cloakroom/w.c. My Grandfather had a dream. To own a property that can bring together his family of children and grand children in what we all called our summer home. Two storey house & lot located 30mtr from beach at well know vacation area Bauang - La union. Approx one hour drive from John Hay golf course in mountain city Baguio. The house was completely rebuild 2004. Ground floor consist of a large dining area with a cozy visitors corner. Open dry kitchen with cooking island with large Italian exhaust fan hood. University. Also it is accessible it has 24-hours route of the buses and jep. Welcome to our totally refurbished medina town house with 2 terraces. This property gives you excellent panoramic views of the Historic Medina & Kasbah, the Port and Tangier Beach. The house is perfectly located just at the edge of the Medina, near to the famous Continental Hotel, it is perfectly situated for shops and restaurants and for all local transport. Our place is nicely furnished with comfortable beds, new linens, and updated decorator touches. Weâ€™ve enjoyed very positive feedback from our guests. Located on John Gorman Road, Island Palm Villas is a 32 townhouse development situated in a gated community. It comprises of twelve 2-bedroom units, twelve 3-bedroom units and eight Executive Villas that comprise of their individual wading pool. The other 24 units have 4 common swimming pools.